Emerging out of the wealth of creativity surrounding the content marketing industry, new and engaging technologies are being harnessed more and more frequently to give brands an edge. But how can you and your company technology-based content effectively, and more importantly, why should you? According to a new study by Kaizen, immersive content such as virtual reality, augmented reality, mixed reality and 360 will make up a growing proportion of content marketing in 2019, and not without good reason. Immersive content has been proven to increase user engagement, thanks to the interactive element and ‘new-ness’ of the experience. We’ve analysed these new forms of content to find out why they could be key to your content marketing strategy in 2019. VR is a draw for any tech-loving audience, but it can also be a great way to allow your audience to sample a product before buying it. For example, for a product such as travel, VR genuinely gives an experience closer to the product than a picture ever could. One reason for using VR lies in its ability to heighten engagement. VR drives a 17% higher emotional response than 2D experiences, and people are 29% more likely to view a VR video than the same video in a traditional format. Another reason is the exponential growth of the VR industry. In 2014, 200,000 people worldwide had VR technology, growing to 43 million in the next 2 years. In 2018, it’s 171 million. AR has the advantage over VR that it engages with the real world, firmly rooting the content in the user’s life rather than abstracted from it. What’s more, AR, unlike the majority of VR content, doesn’t require specialist hardware – games like Pokémon GO can be played through a mobile phone. A good example of a business using AR effectively is Ikea, who produced an AR app that allows you to see how a new item of furniture would fit in your own space. The success of implementing AR within a marketing strategy is reflected in the fact that 88% of mid-market companies are already using some form of AR in their marketing. However, the ship hasn’t sailed quite yet, as the industry is still rapidly growing. 5 million AR headsets were shipped worldwide in 2017, and 27.3 million are projected to be shipped in 2021. Like AR, MR engages with the real world, allowing elements of the real to combine with elements of the fantastical. MR is possibly the natural next step for mobile devices, integrating the information and convenience they offer with the always-on visual offerings of lens-based technology. For example, Snapchat filters that alter the image of your face play to the user’s desire to be involved within the super-reality, whilst using technology to heighten the engagement. 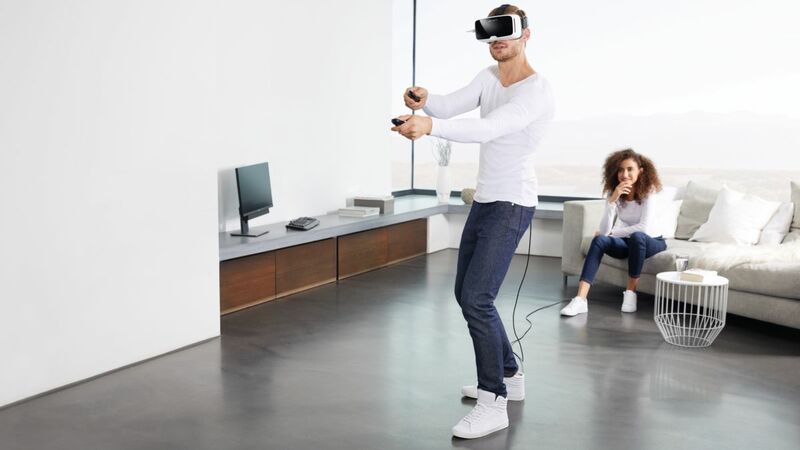 Spending across VR, AR and MR hit £12.8 billion in 2017, with many marketers seeing it a great investment because of the increase in engagement with their brand. Spending across these types of content are forecast to accelerate to £143.3 billion by 2020. 360 can be static or video content, explored by the user to a greater extent than normal. Viewers show a marked increase in engagement when they’re able to affect a video in some way, even if that’s only that they’re able to look around within it. Another benefit is that 360 video cameras are cheaper than many mobile phones, and no more expensive than non-professional photography cameras. In numerical terms, in a study by StoryUp VR, in which they tested a 360 video against a fixed frame video, the average time viewed for the 360 video was 28.81% higher, and double the viewers watched the entirety of the video. The key to experimenting with any of these technologies is not to use them for the sake of it – think about what the technology is actually adding to your user experience, and whether that’s valuable in any way to the user. For instance, when a customer is looking to buy an item of furniture from Ikea, it’s useful to see how that item of furniture would look in their household – and the usefulness is reflected in the high increase of sales. That said, if you can find a way to harness immersive content that creates a story around your brand, enhances the user experience, or simply stands alone as an incredible piece of content, you’ve found your key to the future. Jessica Lang is content executive, Kaizen.